From @SecretaryPerry on Twitter Energy Secretary Rick Perry greets a worker at the Nevada National Security Site as shown in a photo from 2018. WASHINGTON — Nevada National Security Site officials say a facility housing weapons-grade plutonium is safe from earthquake threats that could expose radiation to surrounding populations. But officials said the Nevada security site, in Nye County, is implementing measures suggested by a federal safety board to comply with concerns about risks from seismic events. Energy Secretary Rick Perry said recently that the Device Assembly Facility on the Nevada security site, where a half-ton of weapons-grade plutonium is being stored, is safe. The Defense Nuclear Facilities Safety Board in a report released this month, first reported by the Review-Journal, found the Energy Department had not adequately addressed seismic hazards at the Device Assembly Facility or the potential for a release of radioactive contamination. “We don’t believe that would happen based on the design of the facility,” Darwin Morgan, a Department of Energy/Nevada National Security Site spokesman in Las Vegas, said in response this week. In a statement, Nevada security site officials said recommendations to upgrade systems at the facility were underway before the report was issued. Sen. Catherine Cortez Masto, D-Nev., questioned Perry during a Senate Energy and Natural Resources Committee hearing recently about the safety board report on seismic activity and risks posed to the facility, as well as to the proposed nuclear waste storage facility at nearby Yucca Mountain. 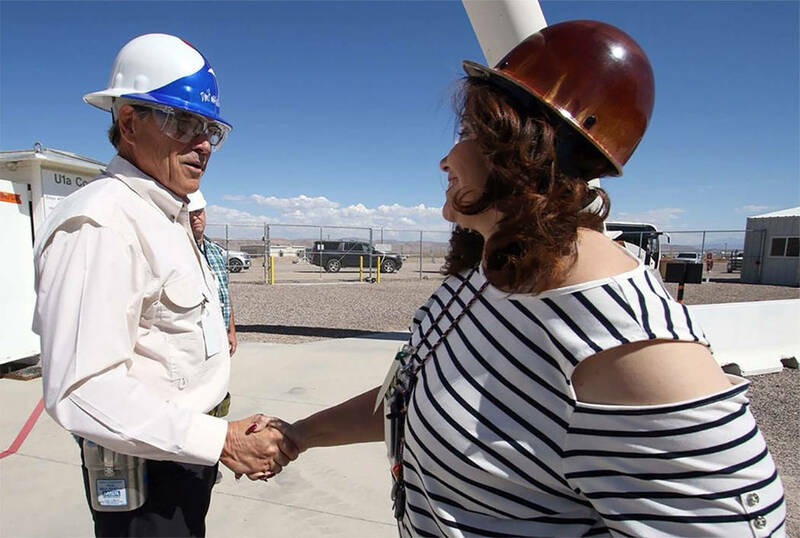 “I’ve asked if the DOE has taken into consideration geological surveys that show that the region around Yucca Mountain is a moderate to high seismic hazard and the potential danger posed to neighboring communities,” Cortez Masto said Friday in a statement. Cortez Masto also is reviewing a letter from Rep. John Shimkus, R-Ill., a ranking Republican on the House Energy and Commerce Committee, asking her to drop opposition to licensing hearings on Yucca Mountain so that Nevada’s legal challenges on the site’s safety can be resolved. Cortez Masto asked Shimkus to consider legislation she is sponsoring with other Democrats in the Nevada congressional delegation that calls for consent-based siting to give local governments and tribes more authority over the location of nuclear waste storage facilities. Meanwhile, Nevada officials are well aware of the seismic activity in the region, which they claim makes it unsafe for nuclear waste storage. 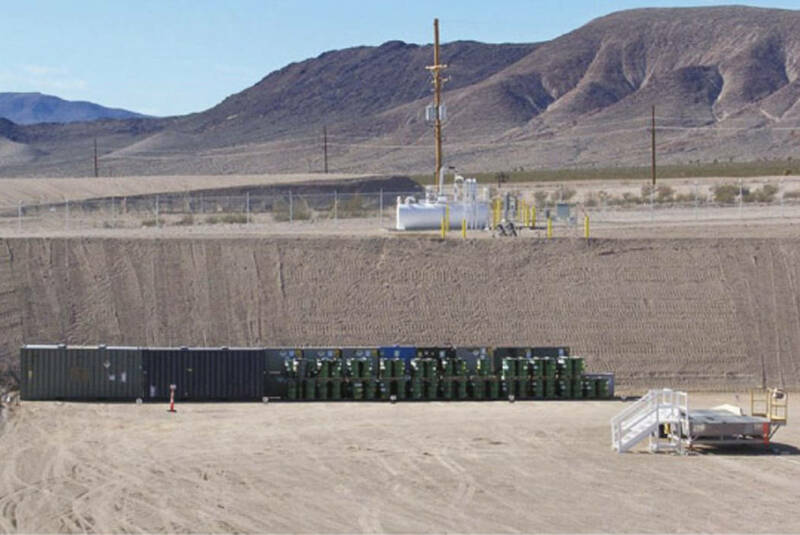 The seismic risks to the Device Assembly Facility on the Nevada security site were identified by the safety board, an independent organization that reviews DOE management of defense nuclear facilities. The security site and Yucca Mountain are located about 90 miles northwest of Las Vegas. The most recent U.S. Geological Survey, in 2008, lists the area as one of moderate to high seismic hazard. Two faults, the Northern Death Valley and the Black Mountains, are located near the Nevada security site and the proposed nuclear waste storage facility. According to the USGS, one of the strongest recent earthquakes in the state occurred on June 29, 1992, at Little Skull Mountain in the southwest portion of the Nevada security site and about 12 miles east of Yucca Mountain and just south of the Defense Assembly Facility. The earthquake registered a magnitude of 5.6. The NNSS said high explosives were not located near the most recent plutonium shipment. Without improvements to structures and components, the facility may no longer be able to withstand the increased seismic hazards identified in 2007, the safety board report noted. The Device Assembly Facility is a collection of 30 steel-reinforced concrete buildings. It includes a laboratory and bays to conduct several missions, including support of the maintenance of the nation’s nuclear stockpile. Last August, the Energy Department notified Nevada and Texas that it would move weapons-grade plutonium to the Nevada Test Site and the Pantax Plant due to a federal court order issued in South Carolina. Nevada filed a motion in federal court in Reno to block the shipment in November 2018. The National Nuclear Security Administration informed the Reno federal court earlier this year that the shipment of a half metric ton was completed before the state filed its motion to block the transfer. Federal officials said the secret shipment was classified and that the court and Nevada were notified after the information was declassified. “NNSA routinely ships this type of material between its sites as part of our national security missions and has done so safely and securely for decades,” according to an Energy Department statement issued Jan. 31. Nevada’s lawsuit was dismissed by the court, and an appeal filed asking the court to order the Energy Department to remove the plutonium and issue an injunction to block future shipments. The state cited the risk of potential contamination and exposure to radiation from the plutonium in its appeal. Federal officials said the plutonium is being stored in Nevada until it can be transferred and stored at an Energy Department laboratory in Los Alamos, New Mexico.